Ticks are neither spiders nor insects but parasitic arthropods with jointed legs and external skeletons. Belonging to the mite group, tick species number in the thousands worldwide but only a few spread diseases to animals and humans. When ticks “bite” animals, only mouthparts pierce the skin. They do not burrow their bodies into the skin. Ticks feed on both mammalian and reptilian blood. However, ticks that feed on snake and lizard blood cannot “cross over” to animal blood. Brown dog ticks spread canine ehrlichiosis, the most common and dangerous disease known to sicken dogs. Symptoms of this tick-borne illness may not emerge for several months after a brown dog tick latches onto a dog. Symptoms include weight loss, nose bleeds, lack of appetite, fever, swollen limbs and runny nose. Spread by the American dog tick, Rocky Mountain Spotted Fever causes skin lesions, fever, neurological problems and joint stiffness. Although this illness typically lasts about two to three weeks, it could seriously harm your dog unless treated with veterinary medications as soon as symptoms appear. Dog tick fever (canine anaplasmosis) is transmitted by the deer tick. Symptoms of dog tick fever include fever, lethargy, stiff joints, diarrhea and vomiting. Advanced dog tick fever may interfere with a dog’s nervous system and cause seizures. Dogs suffering from weakness, vomiting, anemia and pale/whitish gums may have been infected by an American dog tick carrying canine babesiosis. Like other tick-borne diseases, canine babesiosis has an incubation period of two weeks. Symptoms often remain mild enough that dog owners do not realize their dogs are infected until the dog’s blood is tested by a veterinarian. Brown dog ticks are responsible for infecting dogs with canine bartonellosis, a disease causing fever and periodic lameness. If not treated, canine bartonellosis could cause liver or heart disease in dogs. Lyme disease is a bacterial infection transmitted by a certain species of ticks. This disease only produces symptoms in about 10 percent of dogs bitten by infected ticks. If the bacteria leads to infection, your dog’s joints will become inflamed and swollen, he may lose his appetite, lack energy and appear depressed. Serious complications of Lyme disease include kidney damage, nervous system problems and sometimes heart damage. Kidney disease is particularly problematic in dogs with undiagnosed Lyme disease. Dogs with Lyme disease-related kidney disease, may vomit, have diarrhea, lose weight rapidly and drink large amounts of water. Although Lyme disease vaccinations are available, they are not recommended for all dogs. If your dog is not a good candidate for the Lyme disease vaccine, there are other Lyme disease prevention products for killing ticks on your pet, such as flea and tick collars and chewable tablets. Spot-on tick preventatives are safe insecticides you can place directly onto your dog’s skin. Spot-on medications should be applied between the shoulder blades and all the way down the dog’s back. Containing neurotoxins that paralyze a tick’s nervous system, convenient and effective spot-ons also stop tick larvae from maturing into adult ticks. Once a month pills are available with or without a vet’s prescription that kill ticks by quickly disrupting their life cycle. Ingredients released into the dog’s bloodstream resemble neurotoxins contained in spot-on medications that paralyze a tick’s central nervous system. 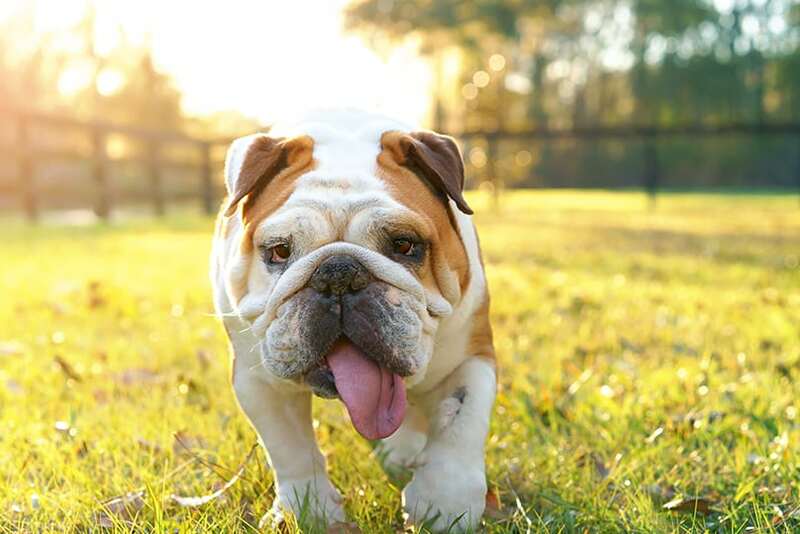 Many dog owners prefer oral tick preventatives because it only needs to be administered to dogs once a month and comes in flavors palatable to dogs. 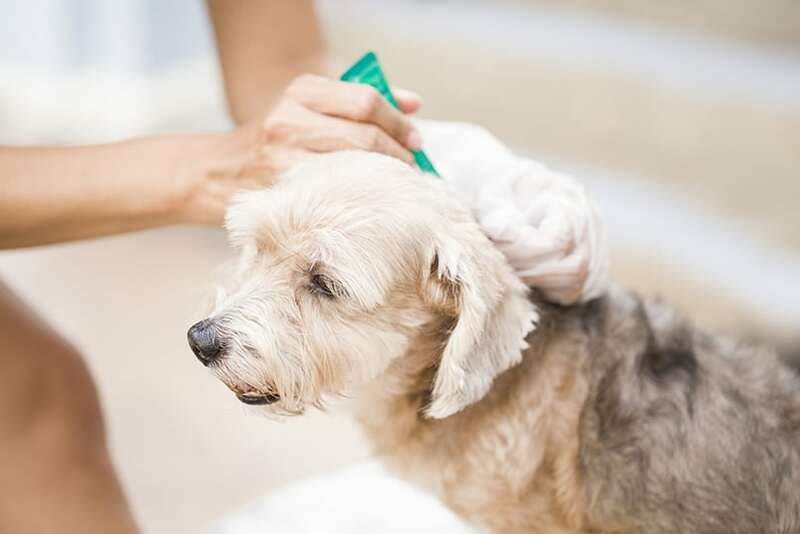 To immediately kill ticks attached to a dog’s skin, tick shampoos and dips work quite well but do not provide on-going protection against canine ticks. Tick dips are more concentrated than shampoos and should not be used on dogs more than three times in 12 months. Always remember to dilute tick dips with water before giving them to your dog. The most inexpensive method of tick prevention for dogs are tick powders and collars. However, they are also the least effective since collars need to be regularly replaced. Just like tick dips and shampoos, powders only work one time to rid a dog of ticks. In addition, tick collars may not prevent ticks from attaching themselves to your dog’s hind legs, under the tail or rear end area. Tick sprays are topical applications that kill ticks rapidly and provide some residual protection. You can use tick sprays for dogs in between dips and shampoos or on dogs wearing tick collars. If you plan to walk your dog in heavily wooded areas, spray the dog before taking the walk. Sprays contain ingredients that help repel ticks as well. Avoid spraying tick solutions around a dog’s face as it may irritate their eyes and noses. Dogs that are elderly, pregnant or suffer conditions compromising their immune systems may need special kinds of tick prevention that are not as strong as regular methods. Your veterinarian can recommend tick preventatives safe for dogs with specific health issues. You might also consider having your yard sprayed for ticks by a professional pest control company if ticks become a problem during warmer months. Disclaimer: the advice and information in this article is not intended to be used as a replacement for professional medical advice from a veterinarian. Doggy's Digest was started out of a love for canines and a need on the web for more information about probiotics for dogs. Our goal is to make this website the number one resource for optimizing your k9's digestive health and beyond!